Finding the right Christmas Gift for a photographer can be a tricky business, but it needn't be so hard, especially when it comes to camera bags. We're here to run down a selection of our favourite camera bags, covering a range of price brackets and uses, giving our thoughts on each one and what type of photographer or camera they might be useful for. This camera bag buying guide should be useful whether you're buying for the photographer in your life or you're a photographer yourself looking for some Christmas Gift inspiration and ideas to give others. Camera bags can be quite a personal business, they represent your outward appearance in public as a photographer, they can echo your personal style, and their size and function will change depending on the type of photographer you are and what gear you use. We've picked these camera backpacks out as we believe they represent excellent value for money for what you get. They're perfect for someone just getting started in the photographic world, perhaps a student looking for their first camera bag, or for anyone looking for a great bag at a reasonable price, and they'd be the perfect Christmas present for any photographer. 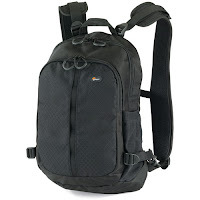 Lowepro are one of the industry leaders when it comes to camera bags. 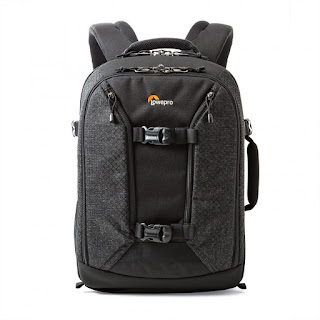 This Laptop Utility Backpack 100AW is an all-weather (AW) small backpack suitable for a 10-12 inch laptop or tablet, card readers and other personal items, leaving your hands free to shoot. 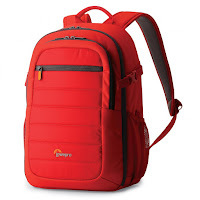 With a customisable and well-padded main compartment and roomy front pocket with plenty of storage, the Lowepro Tahoe BP150 in Mineral Red is a focussed camera bag for an active lifestyle capable of carrying your essential gear including a tablet. Made for the urban environment, the Lowepro Slingshot Edge 150AW is designed to keep your compact mirrorless kit within quick and easy reach alongside your tablet, smartphone, headphones wallet and other essential items in a well-organised and protective camera bag. Vanguard's VEO 42 camera backpack is a photographic backpack that will also easily convert into an everyday back for general use. 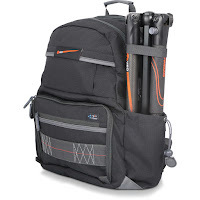 It will carry a DSLR kit with 2 lenses and has an exterior tripod pocket and support. The lightweight blue slate Think Tank TurnStyle 5 Sling is a water-resistant camera bag that holds a large mirrorless camera, with 2 lenses or a small mirrorless camera with 4 lenses. The main zippered compartment features interior dividers and the bag will also hold a small 8" tablet in a dedicated padded zippered pocket. Shoulder bags are the Street Photographers' go-to camera bag. They're designed to sit by your hip and generally have a top-opening zipper to the main compartment, which means your gear is exactly where you need it, when you need it and you don't have to fumble with taking a backpack off and risk missing the shot. 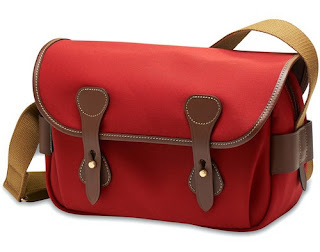 A shoulder camera bag would be an ideal gift for a street or reportage photographer at Christmas. 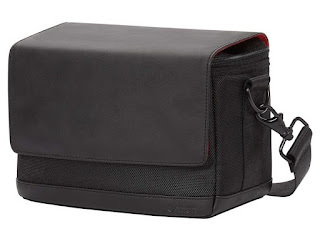 The Manfrotto NX Shoulder bag is perfect for carrying and protecting your mirrorless camera (CSC/Compact System Camera) with a lens attached as well as an additional lens and some personal belongings. 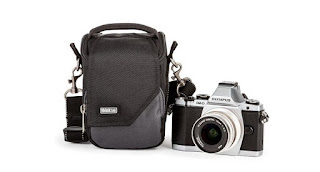 The Canon Shoulder Bag SB100 is a stylish and comfortable camera bag that will hold a DSLR and 2 lenses as well as various accessories. It also has a detachable shoulder strap and offers quick and easy access to your kit. Designed for anything from the urban jungle to the real one, the Havana 36 Shoulder bag from Vanguard is a camera bag that will hold a full-sized DSLR camera with a lens attached, plus 1-2 extra lenses, or alternatively a mirrorless camera with lens attached plus 2-3 extra lenses and a flashgun. 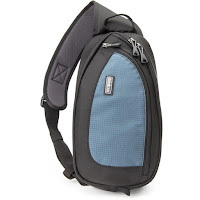 This sleek and stylish genuine Canon messenger bag is a strong camera bag that will discreetly, practically and fashionably carry your camera and lens safe and sound - along with a tablet, accessories and other personal items. 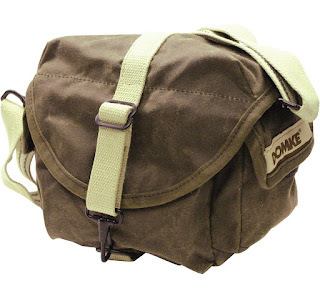 Domke's absolute classic F-8 Shoulder Bag is a high quality bag designed with a distressed finish that only improves with age. 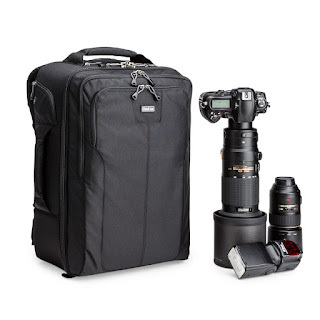 It's designed to carry 1 mirrorless or DSLR camera plus 2-4 lenses, filters, a flash unit and accessories. 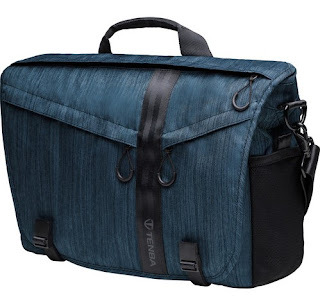 Tenba's DNA 15 Slim Messenger Bag in Cobalt Blue is a versatile camera bag that will hold a professional DSLR camera with 3-4 lenses (up to 70-200 f/2.8) and features a padded removable insert in the main compartment and a reversible WeatherWrap rain cover. A premium camera bag, the Billingham S3 Shoulder bag in Burgundy Canvas and Chocolate Leather is the middle size in the S-Series range. 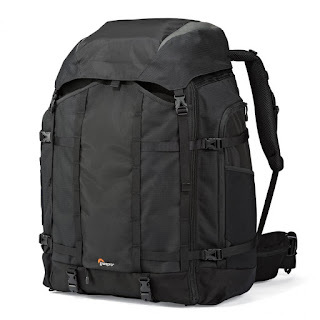 The moderate size makes it a very flexible bag that will carry a mirrorless camera and several lenses and a small flash gun, or a DSLR camera with a few accessories. 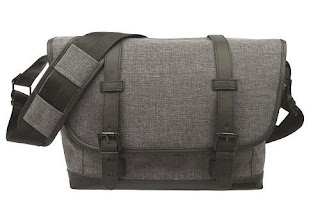 The Peak Design Everyday Messenger 15" in Charcoal is a premium, day-to-day essential carry workhorse for photographers, travelers, commuters and everyone in-between; it's more than just an innovative camera bag. These backpacks don't mess about. They're built for (almost) anything you can throw at them and are designed for professional photographers who demand the best backpacks to carry all their premium camera gear. We've selected a few that we think would make great Christmas Gifts for the pro photographer in your life. 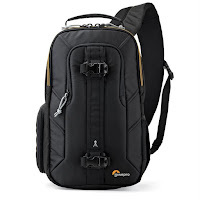 A medium sized pro-photographer backpack from Lowepro, the Pro Runner BP 350 AW II keeps your gear organised and safe with plenty of protection, in a compact and discreet design. 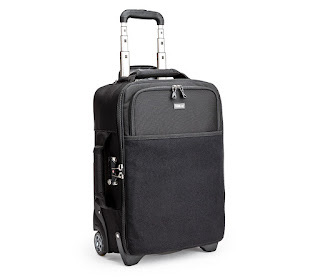 It's perfect for working in streets or travelling through busy airports and will hold a variety of equipment. 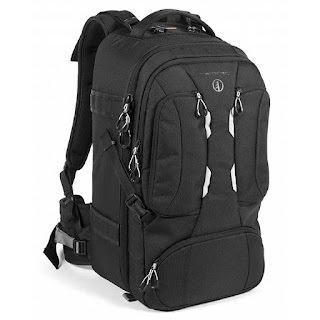 The Tamrac T0250 Anvil 27 is an extra-large backpack allowing you to carry multiple pro-sized DSLR cameras with lenses attached, plus a range of accessories. It will also carry a tripod using its quick release straps. Designed to make travelling easier for photographers who fly internationally or domestically, the Think Tank Airport Accelerator has it all: it's the exact airline carry-on size, it's comfortable to wear, and has a surprising capacity, accommodating two pro DSLRs, 6-8 standard lenses, plus an iPad and a laptop up to 17". To give some perspective, it will hld a 600mm f/4 lens with body attached or a 500mm f/4 with body attached. 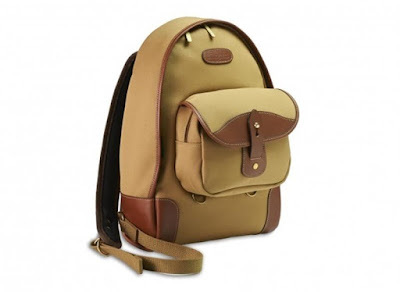 The Billingham Rucksack 35 in Khaki/Tan is a stylish, classical, and premium camera bag that appeals to the heart and the brain. With classical styling, top gain bridal leather, and solid brass fixings, it's a bag with true distinction and careful design. The main compartment is a 'Photographic Insert' - a padded bucket with a lid that protects your equipment and can be removed so the bag can be used for general purpose use as well. The Lowepro Pro Trekker 650 AW is the ultimate, big glass expedition backpack. 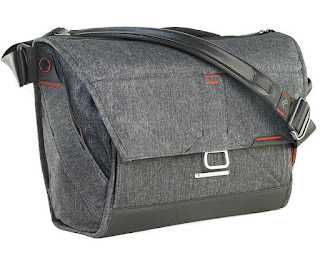 With high-performance tech fabrics, the ActivLift System constructed to mimic the natural S curve of the back, and a removable and protective backpack lid that can be worn as a waistpack, this camera bag is for serious professional photographers who require an extra-large bag to carry all their gear in a durable, waterproof bag. 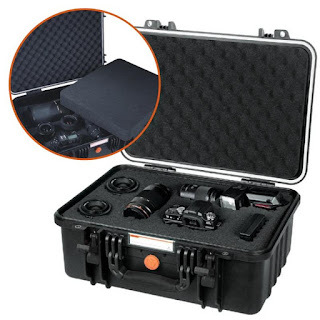 Camera bags aren't all backpacks designed to carry a 4 huge DSLRs, 17 lenses and 3 flashguns - sometimes all you need is a case to protect your compact camera. Compact cameras, and mirrorless cameras (or Compact System Cameras), are small but powerful cameras that are perfect for holidays, travelling, days out, or family gatherings. Perfect as Christmas gifts, here are a few of our favourite cases to protect your compact digital camera. 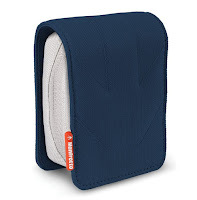 A handy little pouch for ultra-compact point-and-shoot digital cameras that will protect them from impacts and guard against knocks and scrapes. The soft interior is designed to protect their LCD screens and the outer material is made from water-repellent material. The Portland camera case from Lowepro offers a lightweight, compact, and flexible way to carry your compact digital camera and smartphone in one easy, convenient solution. 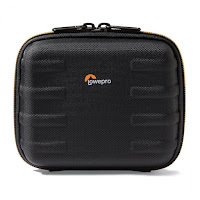 The Lowepro Santiago 30 II in Black/Orange is a rugged compact camera case that utilises Lowepro's FormShell technology to safeguard your valuable gear in a lightweight, yet sturdy shell design. 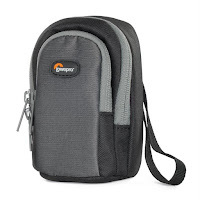 This compact and highly portable digital camera case includes a built-in accessory pocket and detachable shoulder strap. The Think Tank Mirrorless Mover 5 in Black/Charcoal is a compact camera bag designed specifically for mirrorless cameras. It will fit a small body with a small telephoto or pancake lens attached. Sometimes you need a specific bag or case to carry a particular piece or pieces of photographic gear - that might mean a bag for your tripod, a dedicated case to hold your most expensive lens, or bag especially to carry your new Drone, or a roller case for taking your equipment on holiday with you. 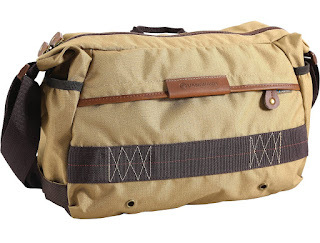 We've selected a range of specialist camera bags that we think would be great gifts this Christmas. 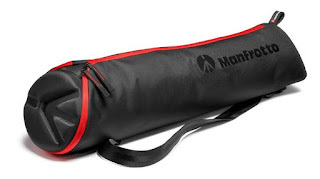 With an asymmetric tapered shape, the Manfrotto range of tripod bags allows you to carry your tripod with the head still attached in comfort and with ease. The main zipper runs the full length of the bag and wraps around the top to easily open and grab your tripod. The Thermoform padding will protect your tripod and head during transport. 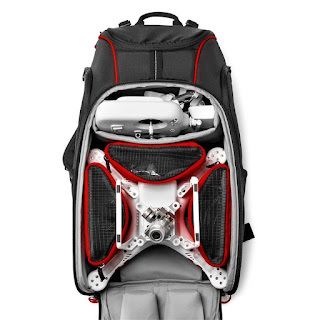 Designed exclusively to carry Drones, remotes and accessories, the Manfrotto Drone Backpack is a specialist piece of camera bag gear. It will securely carry a drone such as the DJI Inspire along with remote controls, accessories, and even other extras such as a laptop or photography gear. Purpose built from thick, one-piece foam padding to provide a superior, all over protection for tragile glass and mounts, Lowepro's Street and Field lens case features the OverLap Zipper construction which safeguards your lens from dust and moisture and a SlipLock attachment tab with hook/look fasteners secures the case to a compatible bag, belt or loop. 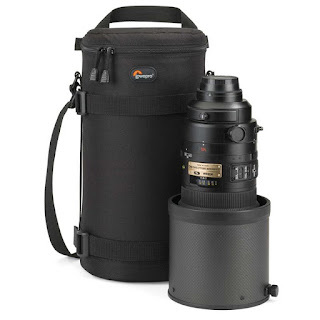 This lens case will carry a telephoto/zoom lens up to 300mm f/2.8. Virtually indetructible, the rugged Vanguard Supreme series of hard cases have innovative features that offer unmatched strength and durability. O-ring sealed, waterproof up to 5m, airtight, and built to withstand the most extreme conditions, Vanguard Supreme cases are great for airline travel as they feature an automatic pressure equalisation valve and will support up to 120kg of exterior weight. Meeting the exact size requirements for airline carry-on luggage, the Think Tank Airport International V2.0 offers some advanced security features to get your gear through airports safely and securely. The discreet outward appearance and clever internal dividers mean it can carry up to a 500mm lens or multiple combinations of camera gear. We hope you've enjoyed our Christmas Gift Guide to buying camera bags for photographers, all the products listed above are available at ParkCameras.com in our Camera Bags & Cases section.